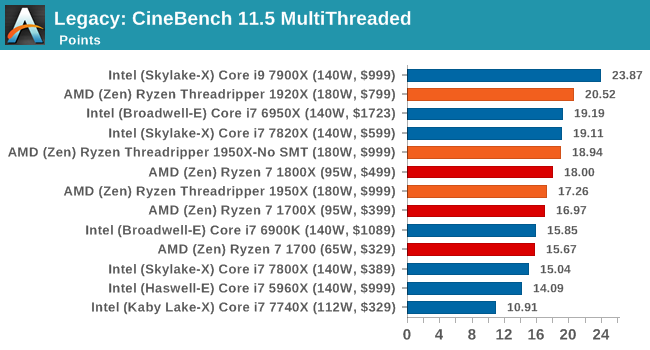 Cinebench is a widely known benchmarking tool for measuring performance relative to MAXON's animation software Cinema 4D. 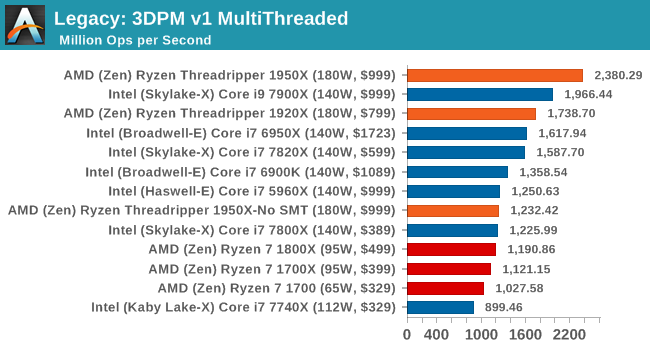 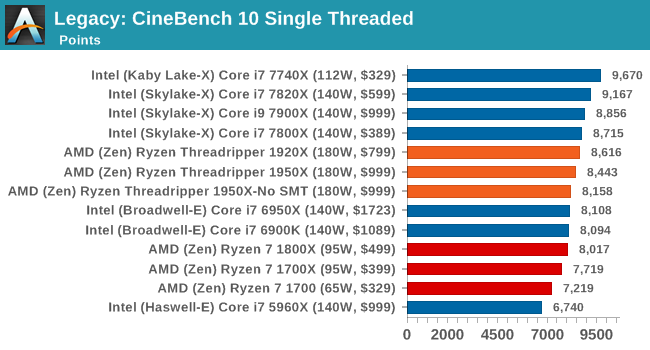 Cinebench has been optimized over a decade and focuses on purely CPU horsepower, meaning if there is a discrepancy in pure throughput characteristics, Cinebench is likely to show that discrepancy. 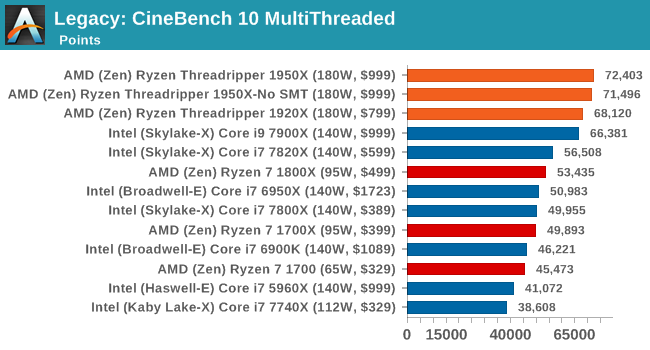 Arguably other software doesn't make use of all the tools available, so the real world relevance might purely be academic, but given our large database of data for Cinebench it seems difficult to ignore a small five minute test. 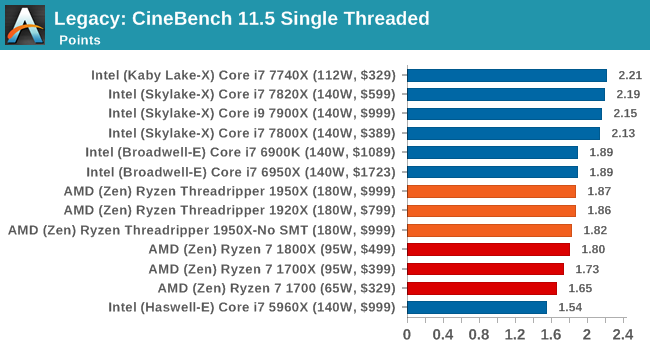 We run the modern version 15 in this test, as well as the older 11.5 and 10 due to our back data. 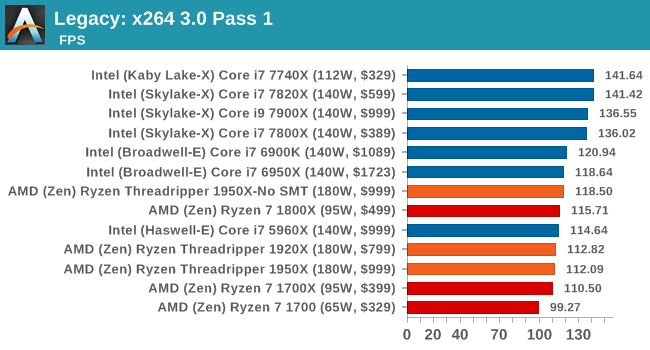 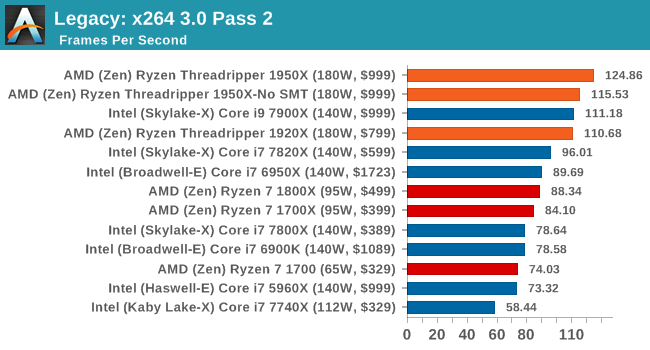 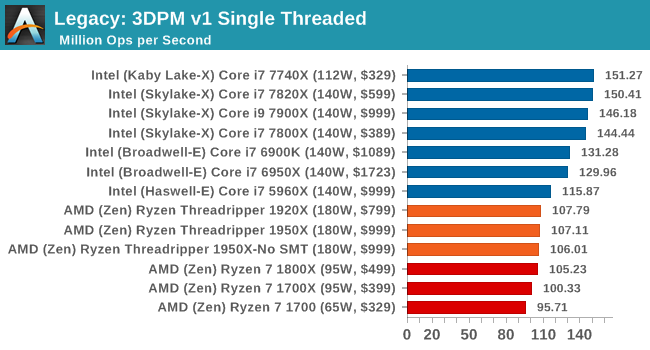 The 1950X: the first CPU to score higher on the 2nd pass of this test than it does on the first pass.